The following provides a list of resources for socially responsible investing for Jesuit Universities in the hope that these resources will be used in determining future investments to ensure a positive impact socially and environmentally. What is socially responsible investing (SRI)? 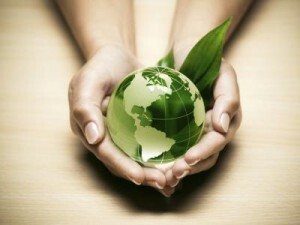 : SRI means using your finances to have a positive impact on the people and the planet. It means addressing your social and environmental concerns while still meeting your financial goals and driving companies to improve their environmental, social, and governance records. This includes investing in companies that engage in environmental sustainability and clean energy/technologies, as well as fair and equal treatment of individuals. The acronym SRI has also been used to represent “sustainable and responsible investing” or “socially and environmentally responsible investing.” “ESG investing” is an alternative acronym which stands for “environmental, social, and governance investing” but regardless of the title SRI or ESG the meaning remains the same. US Social Investment Forum: US SIF and its members advance investment practices that consider environmental, social and corporate governance criteria to generate long-term competitive financial returns and positive societal impact.